Today is Sukkot 2009. 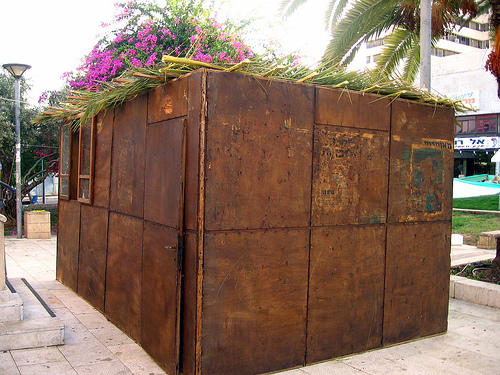 Sukkot means “huts” or “Tabernacles,” and is the plural of “sukka”. The holiday is the fifteenth day of the month Tishrei, which falls in September or October. It is one of the three pilgrim festivals, and years ago, Jews would head to the Temple in Jerusalem and offer animal and grain sacrifices. It is one of the most important Jewish holidays of the year. Sukkot lasts for seven days, starting with Chol Hamoed, a day of rest, that is similar to Shabbat (even though it happens to fall on Shabbat, or Saturday, this year). Most businesses are closed in Israel in observance. For the rest of the week, the days are considered semi-holidays, and many businesses will only stay open for the morning. A lot of vacation spots will be full of Israelis for this time, because of the time off. Those who celebrate enjoy a week full of feasts, dancing and other parties. The holiday is meant to symbolize the 40 years that the ancient Israelites had spent wandering around the desert in Egypt and their sparse conditions. 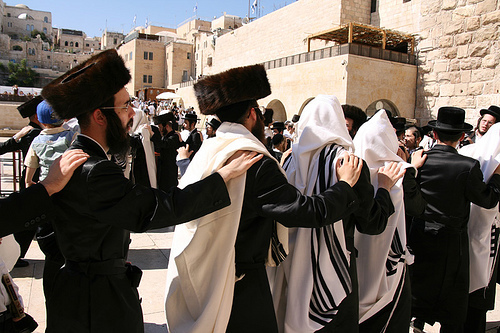 In the Torah, it says that when the Messiah comes, Sukkot will become a worldwide festival and everyone will make an annual pilgrimage to Jerusalem. A typical sukka is made of a frame of tree branches with wooden or cloth walls. The top is made of small tree branches, and you are meant to see the sky through them. Jews often build a sukka outside of their dwelling area, and eat all of their meals in it. It cannot be built under a roof or tree. In Israel, you can see sukkas built in the yards or balconies of religious Jews’ homes. You will find a lot of this in Jerusalem, the most religious and most holy part of Israel. Many secular Jews will also build sukkas, because children like them. Sukkas are generally decorated with fruits, paper cut outs and other festive objects. Sukkot is also a harvest festival. It is meant to be a time when people have reaped all of the fruit harvests of summer, clearing the fields for planting winter crops. The sukkot huts were meant to also protect the harvested produce. Farmers would pray for rain for the following season. The holiday is a combination of natural and religious occurrences. 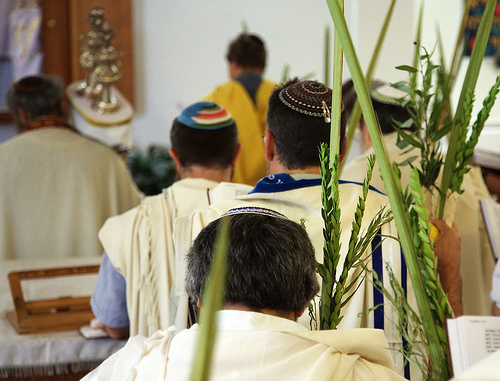 Today, it is common to pray for the four species during Sukkot: date palm, myrtle, willow and citron. The seventh day of Sukkot is Hoshanah Rabbah, where the family returns to their regular house.